4k00:06Pigeons are sitting on a wire against the background of blue clear sky with white clouds. 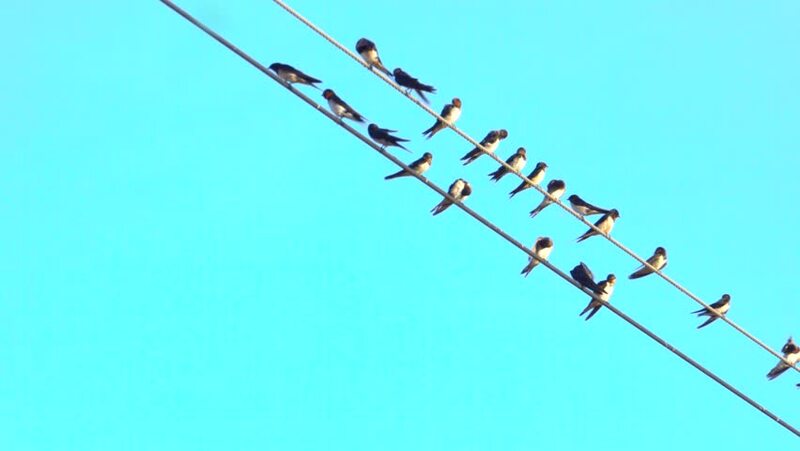 4k00:19Group of birds as they sit on wires with clear blue sky background. hd00:10View of an airplane track above top branches silhouettes. Leafless trees and blue sky background.